The legendary Mazda MX-5 is the star of our news again, after it has received an interesting facelift from the BBR tuning company. In case you own a Mazda MX-5 fitting the 2005-2014 models with the 2.0-liter naturally aspirated unit, then you should head straight away to BBR tuning company and let them upgrade your ride. We are talking here about a full tuning program that costs 2,195 GBP, for which you will get a lot of tweaks and performance parts. 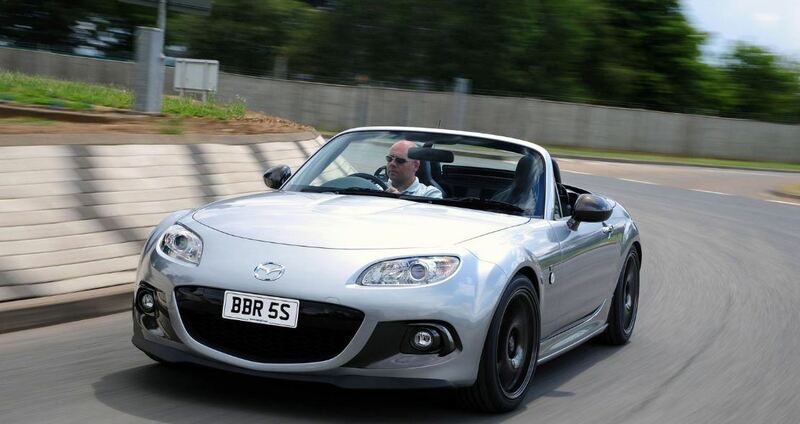 The chief at the BBR-GTI Neil McKay stated that his tuning company understands the importance that the car is having within the MX-5 community and a final touch is required in order to obtain extraordinary results in terms of high-performance. The upgraded package refers to the Super 200 package, which comes with high-performance camshafts, stainless steel exhaust manifold, high flow air or the optimized ECU. Thus, the 2.0-liter naturally aspirated unit is capable of producing an extra power of 43 horses and 23 Nm of torque, for a total of 201 horsepower and 225 Nm of torque.